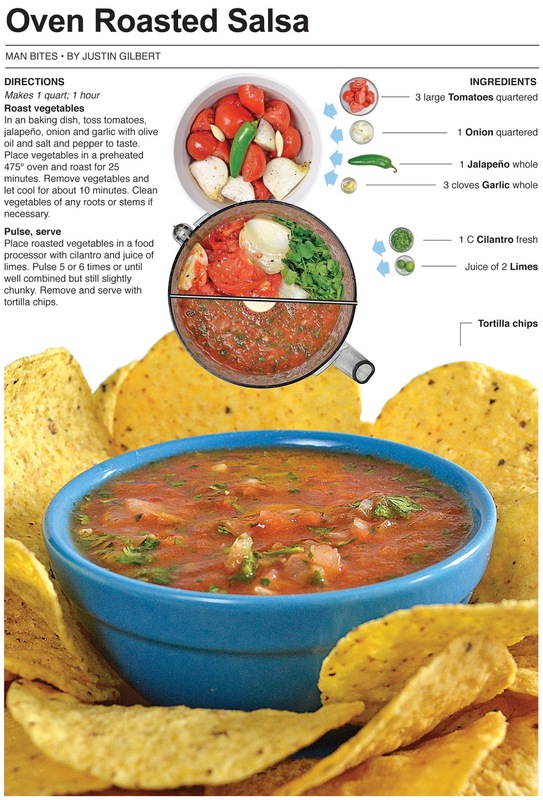 One of the best ways to make salsa is to oven roast the vegetables. The dry heat draws out the moisture and concentrates the flavors. It also makes the onions and garlic sweeter. Once everything is roasted I like to throw it all in a food processor, add some lime juice and cilantro and pulse it a few times. 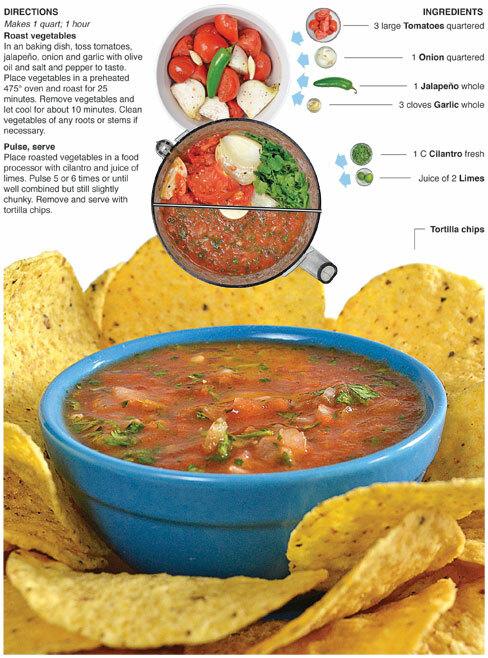 The end result is a chunky salsa that’s hard to quit eating. Leaving the ribs and seeds in the jalapeno gives it extra kick and creates an addictive quality that seems to draw you back for more and more. 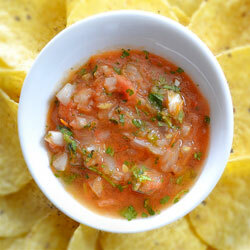 It's my favorite thing about a quality salsa with extra heat. It’s easy to enhance the flavor with the addition of reconstituted dried chilies, but that is for another post. This salsa could be made exactly the same way with everything raw, but when I get time, the extra application of heat is the difference between good and great. I was recently at a gathering and a friend of mine brought a batch of salsa that had what I like to call “big boy heat.” It’s the kind of heat that numbs your lips and makes the Tostitos Hot Salsa at Walmart seem like baby food. Needless to say, I ate about a quart of the big boy salsa myself and decided right then and there that I wanted make my own version for the blog. I’m glad my friend made it – And had the Kahunas to make it extra hot. In an baking dish, toss tomatoes, jalapeño, onion and garlic with olive oil and salt and pepper to taste. Place vegetables in a preheated 475° oven and roast for 25 minutes. Remove vegetables and let cool for about 10 minutes. Clean vegetables of any roots or stems if necessary. Place roasted vegetables in a food process with cilantro and juice of limes. Pulse 5 or 6 times or until well combined but still slightly chunky. 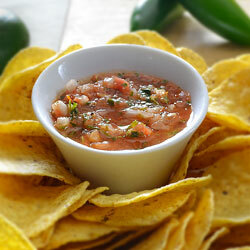 Remove and serve with tortilla chips.